There’s a variety of names for them. 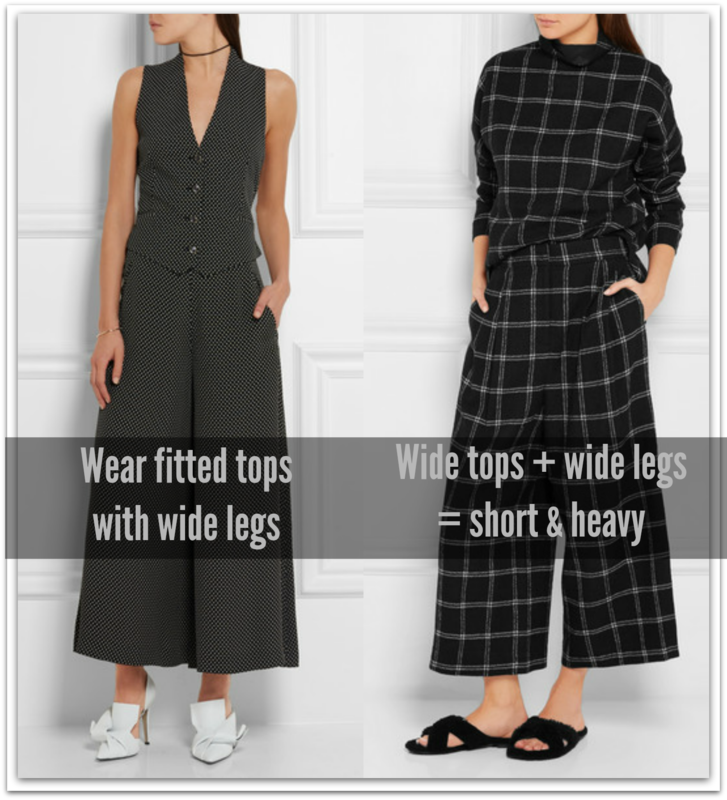 From clam diggers, three-quarter pants, cropped trousers, cigarette pants, pedal pushers, Capris, and culottes, cropped pants (aka pants that end above the ankle) may go by many names but one thing is for sure, every summer we love to wear them. Historically women started wearing pants on mass during WWII as they worked on farms and in factories to support the war effort. Before this time only a few women dared to cross the skirt line especially if it was outside of sport or manual labor, one of them was Canadian-born actress Norma Shearer. In 1948, fashion designer Sonja de Lennart created a stylish, sexier alternative to pants for women. Her tight, three-quarter length style usually included a short slit on the outer-side of the pant leg. They were called Capri pants, named after the designer’s Capri Collection (which took its name from her love for the island of Capri, as well as the song “Isle of Capri”). The Capri Collection caught the eye of iconic costumer designer Edith Head in 1952, and she proceeded to utilize de Lennart’s designs for Audrey Hepburn’s Academy-Award winning costumes in Roman Holiday and Sabrina. 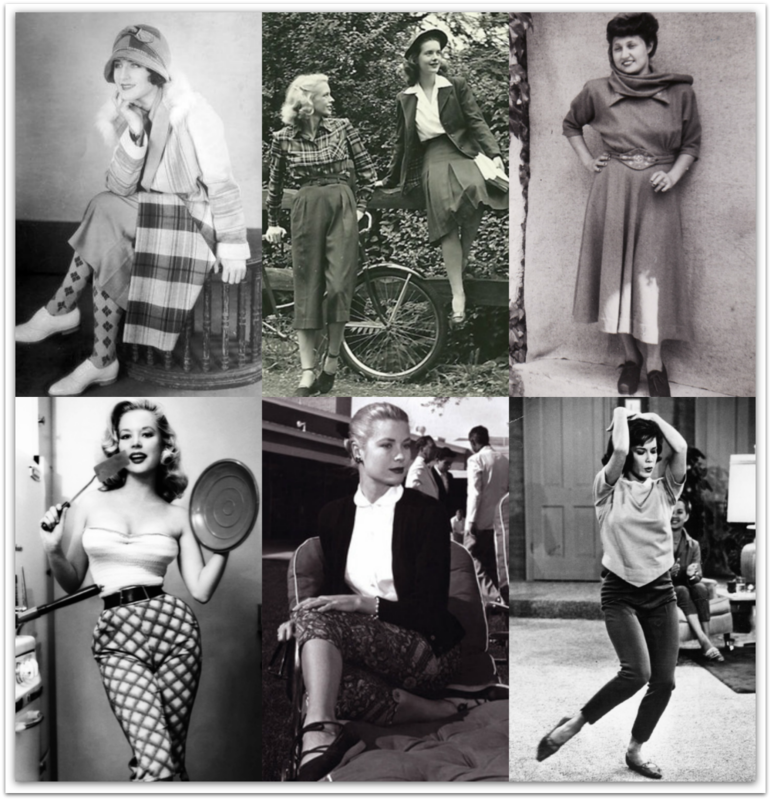 The Capri pants, in particular, resonated within the world of fashion, becoming popular with notable names like Grace Kelly, Doris Day, Katharine Hepburn, Elizabeth Taylor, Marilyn Monroe, Jacqueline Kennedy, Mary Tyler Moore and Sophia Loren. 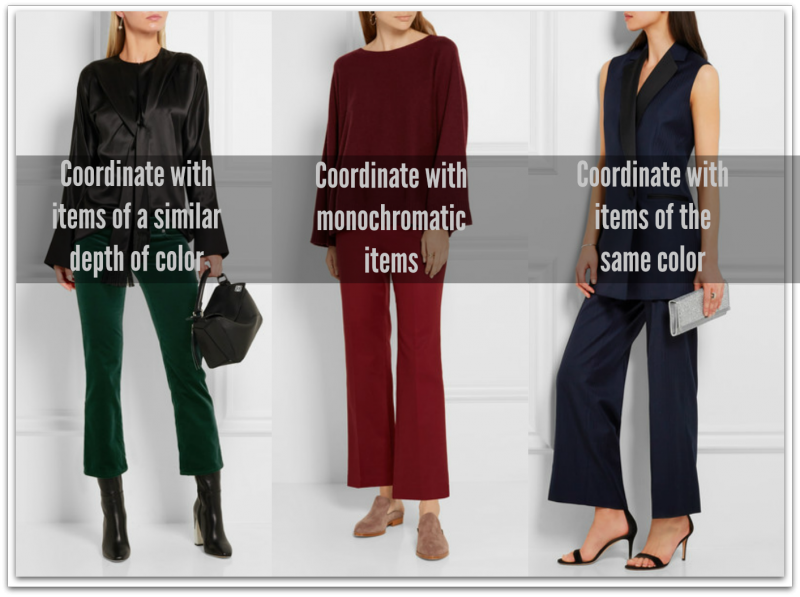 These events and women shaped the history, popularity, and influence of the Capri pant silhouette. 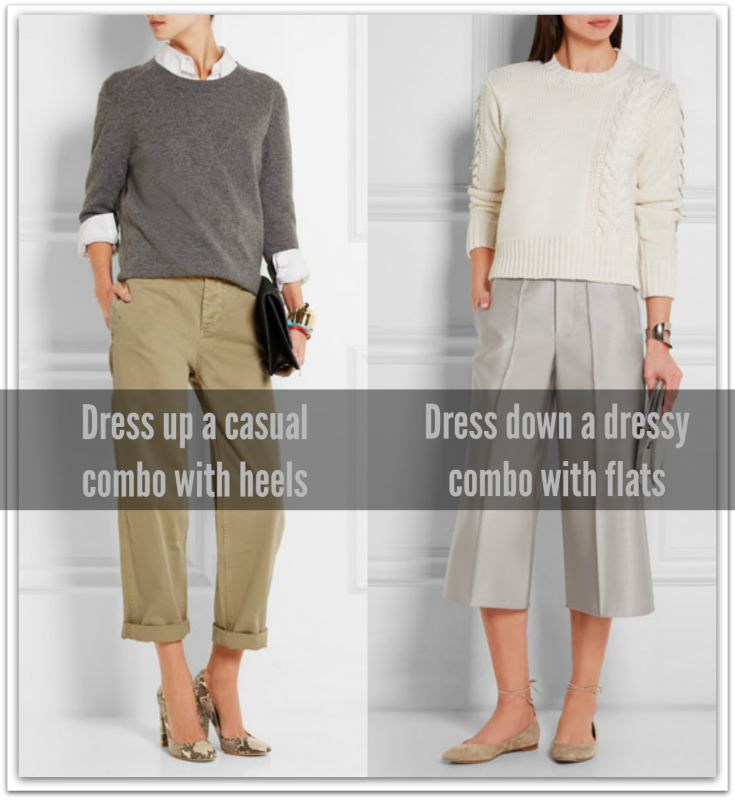 Culotte: True culottes mimic a skirt. They are usually of soft fabric and designed to reveal they are pants only when walking. 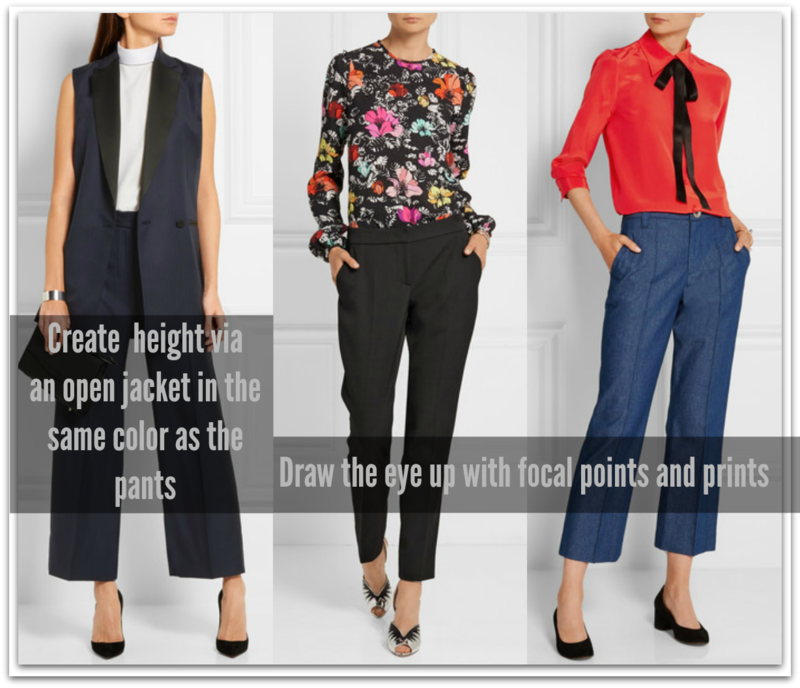 Cropped: Pants above the ankle which have a straight or wide leg. 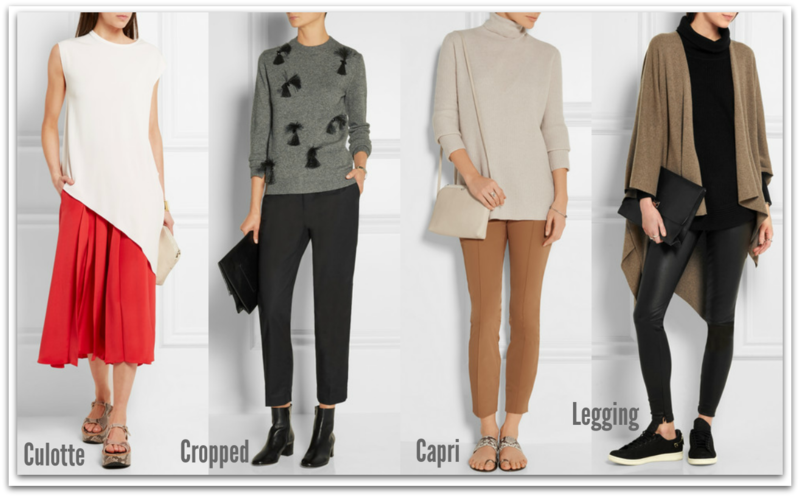 Capri: Tapered pants with a hemline that sits close to the leg. These are flattering and comfortable for most women and you can follow the same rules as you would for skirts. 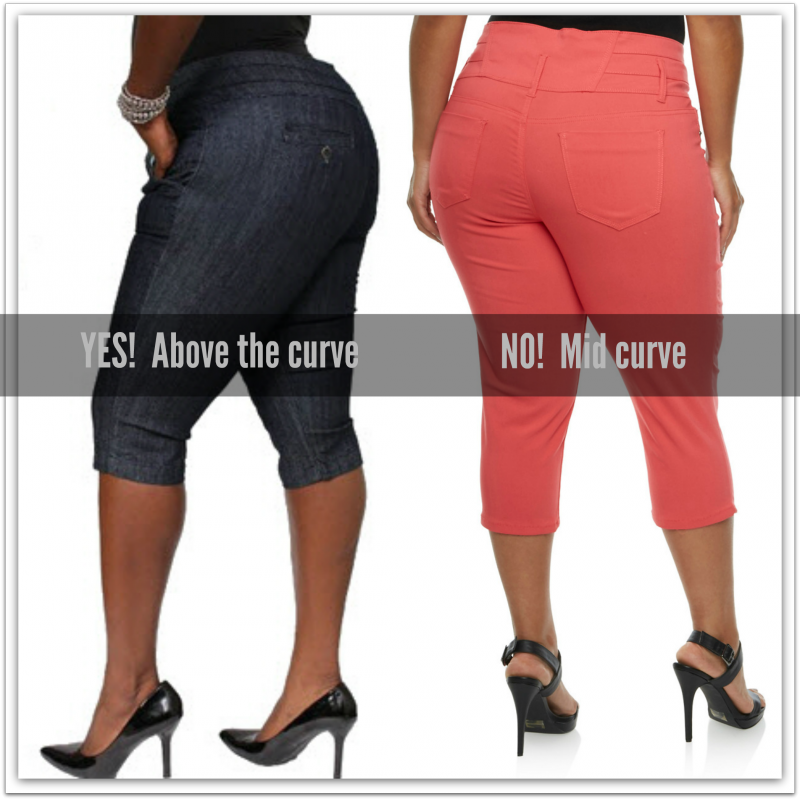 Besides a good fit, width is the biggest factor to consider when thinking about which cropped pants to buy. 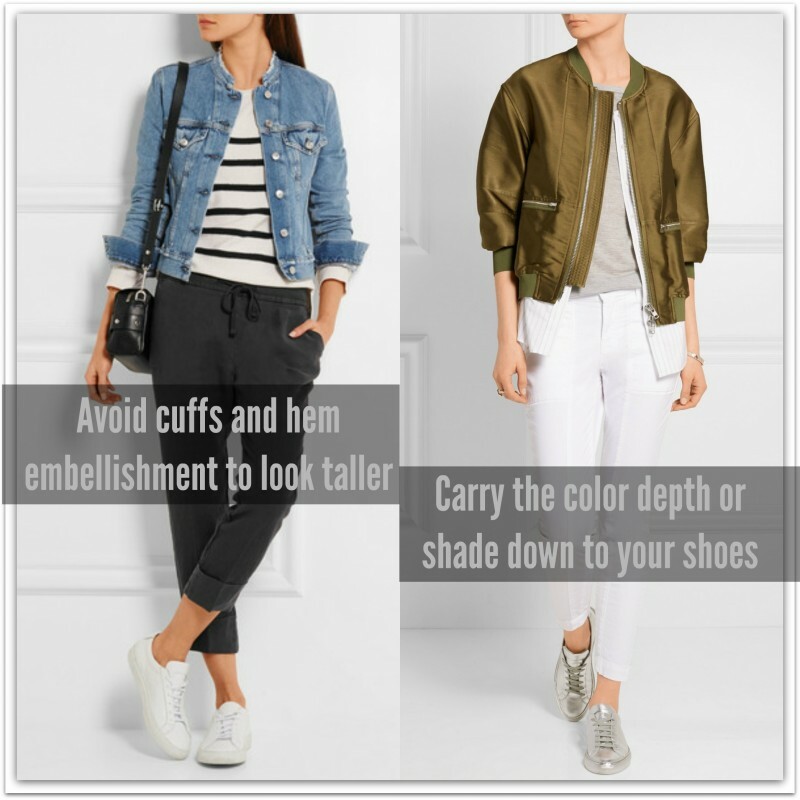 Because they are cut-off above the ankle they visually shorten your height which in turn can make you appear fuller-figured. The taller and slimmer you are, the more latitude you have to play with width. Once again a good fit is essential and given Capris sit pretty close to your leg the potential for uneven leg flesh to show through the fabric is pretty high. 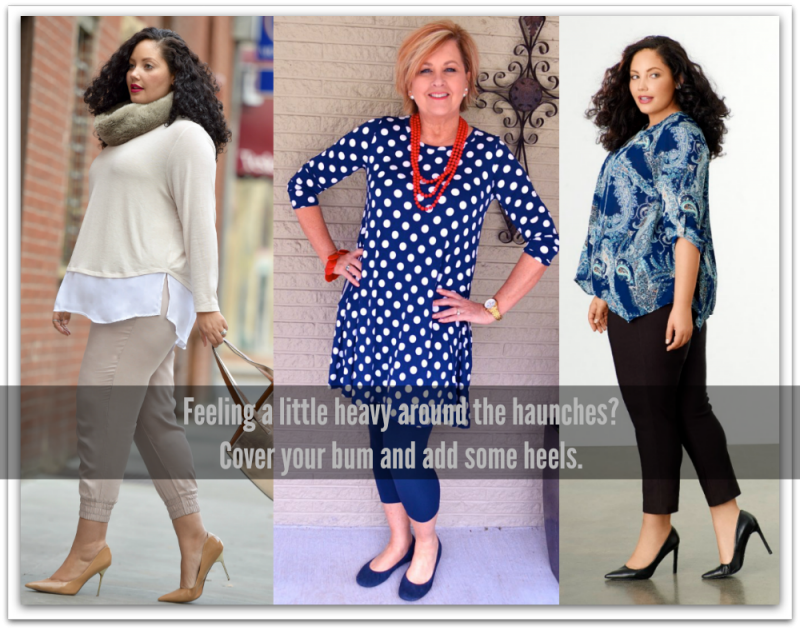 If your legs are untoned (yep, I’ve raised my hand too) either look for thicker / more solid fabrics or wear shapewear underneath. Another equally effective home hack is to buy flesh colored control hose and cut the feet end off approximately 8 inches / 20 cms above the ankle. Put them on and check they sit up under your Capris. If they don’t cut them higher and try on again. You’ll be amazed at the difference they will make when it comes to smoothing your thigh. They’re a little hot but work like a dream. Where your Capri pants end can make a big difference to the look of your legs. Altering them when necessary so they end on a curve in your leg and not the widest point will always be most flattering. This could be above or below your calf or at your ankle. Thank you for the tips with photos. I have made many mistakes but with the visual guide I can check myself before leaving the house. Thank you Selina, I really appreciate your kind comments. Hi Ann, These tips combines with the photos are really fine. 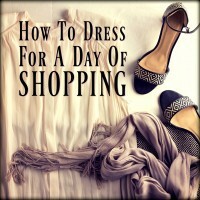 Often with a little adjustment one can change their style from “O no!” to wow, gorgeous! I always love to read your posts, they are so informative! Thank you so much! Hi I am in my late 70′s I would like some advise on what to wear I am 69kg.I can’t wear heals now. I wear mostly casual clothes can you help me please. 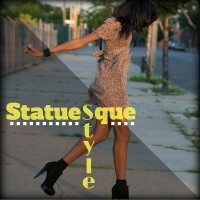 I suggest you gate a My Private Stylist program created for yourself. 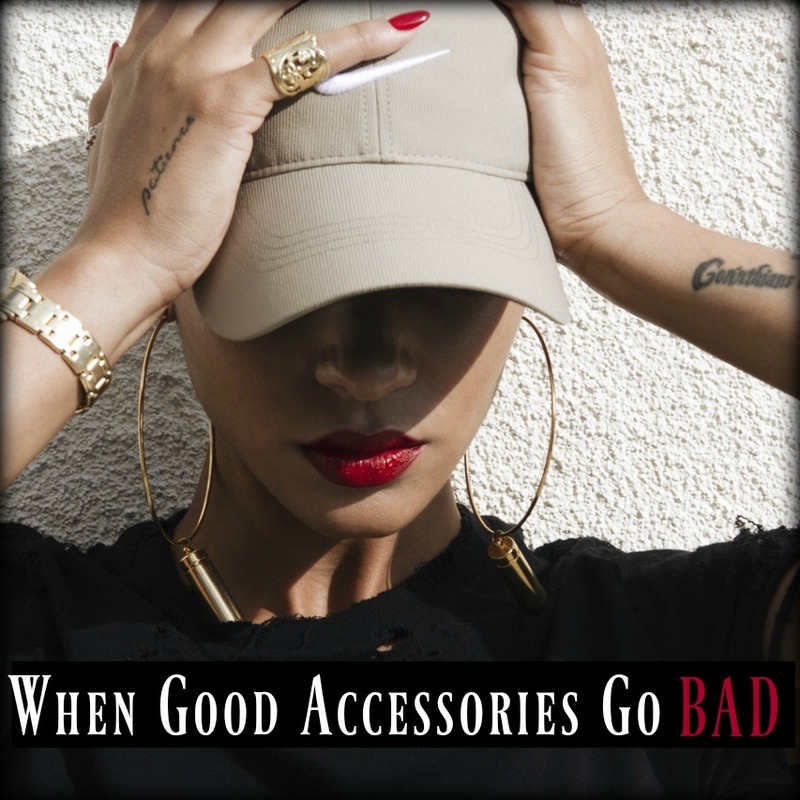 It will answer all your style needs in regard to what styles to select in order to look your best.